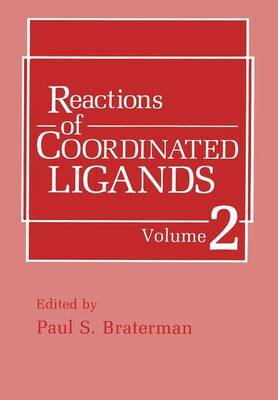 This, the second and final volume of Reactions of Coordinated Ligands, describes the chemistry of ligands bound through non-carbon atoms, and of coordinated carbon dioxide. As before, emphasis is on the underlying mechanisms, which provide a unity of understanding for superficially disparate processes. The wide range of topics covered illustrates well both the versatility and the usefulness of coordination chemistry in the controlled activation of ligands. Looking to the future, carbon dioxide is the feedstock of last resort. The homogeneous reduction of dinitrogen to ammonia now seems unlikely to replace the Haber process, but solution reactions also lead to more complex, varied, and valuable products. Nitrogen monoxide, a "non- innocent" ligand, impinges as pollutant and reagent. Its rich chemistry stems from its linked roles as three-electron donor, and as extremely powerful -acceptor. In the hydrolysis and condensation of complexed amides, esters etc. , metals act both as templates and as tunable and poly functional Lewis acids. Here the control of hydrophobic and steric interactions begins to model the subtle mechanisms of biological specificity. Finally, phosphorus and sulfur are imporant both as ligand atoms in themselves, and as anchors for other functionalities. I would like to thank all those who have been involved in the writing and production of this work, and also my colleagues old and new, at Glasgow and the University of North Texas, for their support. Paul S. Braterman v CONTENTS 1. Reactions of Coordinated Carbon Dioxide 1 J. D. Miller 1.